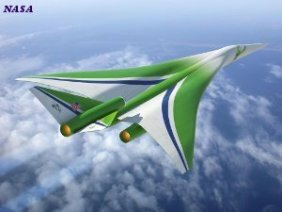 The Importance of cooperation can be appreciated by the single fact that the future of Humanity hinges on our collective understanding and execution of the Law of Cooperation. The future of cooperation rests in the hands of each one of us. Once an individual is aware of the impact this Law of Nature imposes on our actions, to cooperate or not becomes a conscious choice. Awareness of the consequences of our actions is a prerequisite to genuinely and effectively working together. Following another's instructions is commendable. But the ability to display initiative, collaborate, and contribute to the most desirable outcome, renders one valuable beyond measure in any workplace. Indeed, in any field of endeavor. Focusing upon developing Cooperation as your Mindset, via ready and adroit willingness to share your knowledge and expertise for the greater good is a direct route to maximizing one's value in that same workplace or endeavor. Nothing - in our case, Good - comes to pass until two or more people arrive at an agreement. We are all in this together is an assured starting point for any shared enterprise. Too often, cooperation is confused with negotiation. Particularly politically on an Inter-Party - - Inter-State - - Inter-Nation basis. Each party is searching for advantages and then when they finally agree the result is unwittingly presented as cooperation. Emulating a political environment in the workplace, and elsewhere, tends to undermine the importance of cooperation. And is not conducive to attaining the Harmony which is essential to achieving first class results. Especially where intuitive thinking is necessary to locate answers. Even within Physics, that branch of Science that demands the most rigorous precision thinking, we encounter squabbling and bickering – ego overtakes truth seeking. Disagreement leads to Personal Conflicts as if conflicts were more important than using those same disagreements for Mind Stimulus and greater effort to seek, and find, that truth. Neglecting to employ those Laws of Nature that keep our minds focused and permit the eventual resolution of a problem, is surely the most unrewarding and barren use of time and resources. 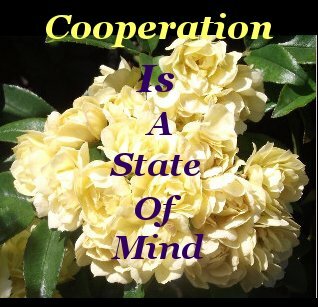 The Law of Cooperation has universal application. That is, it applies to every Human interaction. But for the sake of example let's restrict it to a common scenario. For a moment, relate the importance of cooperation to your current occupational environment. Imagine, a consistently stable workplace without squabbling or bickering. Instead, just harmonious cooperative production. What would that be worth to your bank balance? To your soul? As an employee? As an employer? Picture, you as an employer, all your staff practicing this principle in a cool spirit of harmony. Would that make running your business easier? A joy? Take it a step further. What if all your suppliers practised the same principle. How much time, money and anxiety would that save? And if all your customers understood the utmost importance of cooperation? Wouldn't you want to hug them? Ponder how you feel when imagining this scenario and just how possible it is to achieve when we share the same mindset. Now, export that same Cooperative Mindset and install it in the participants of a random trouble spot. Anywhere on the Planet. Do you sense an immediate diminishing of hostility, and a solution forming in the fog of ignorance that created that hostility in the first place? Cooperation originates and resides in the positive mental attitude of an individual. This skill, like all the other Laws of Personal Development is a state of mind. When training yourself to be cooperative, you are ever seeking appropriate solutions to given problems and obstacles on the path to achieving goals. Dissent, with intent to disrupt, is quite simply not on your radar. 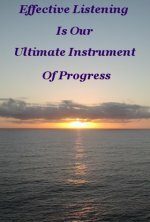 There are many inspiring examples of cooperative behavior set by intelligent Humans putting this wise principle of progress and success to work for the benefit of all. Be that as it may, the tumultuous lives multitudes are leading is distressing evidence that the Law of Cooperation is not yet widely understood. Propagating wider recognition can best be achieved by the individual, you and I. By perceiving the manifold nuances of cooperation and leading the way by example. Bringing the benefits of cooperation to the attention of others. In all our own dealings, big and small. When others notice how readily and effortlessly we get favorable results, by equitably solving problems, they will want to know how they, too, can do the same. 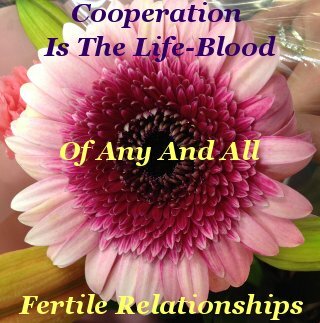 When we all truly comprehend the interdependent nature of modern life, we will have a corresponding understanding of the importance of cooperation. And so, derive the appropriate appreciation of this principle's essence to our own general well-being and prosperity. when we believe it to be perfectly possible, one will willingly apply this lever of achievement - not only to Workplace Cooperation but to every facet of our ever improving lives. 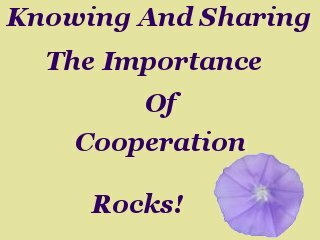 The Importance of cooperation Rocks! Return To Personal Development Rocks.